Here we are add and manage different premium plans with some offers. Here we can add a new listing plan. Discount type – We can provide a percentage or flat rate discount for the plans. Discount – This is the given discount to the user. 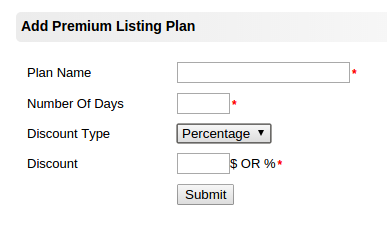 Here we can activate, block, edit and delete premium listing plans.